Everyone struggles in highschool to varying degrees . Some take it well, some don't. It's where friendships that would last a lifetime can be made, or where traumas that you'll carry for the rest of your life can be experienced. It is where we all find ways to express ourselves, and learn how to be our true selves. But what if this delicate process was even more complicated by physical handicaps, or differences in identity, such as being LGBTQ. Artistic Process by Rita Albuquerque draws out a narrative that touches exactly on that. It starts out by two kids meeting. A normal start to a school year. However, what follows is a slightly more different story. In the webcomic, Rita's art style is colorful and vibrant, yet quirky and unique. There's something about it that fits the tone of a highschool drama webcomic. 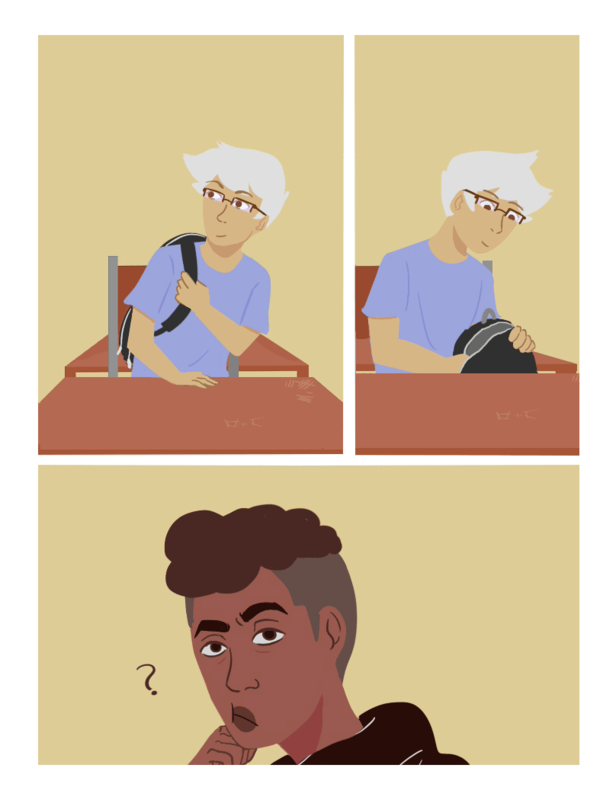 The characters in the webcomic are also very intriguing and many people can relate to them. 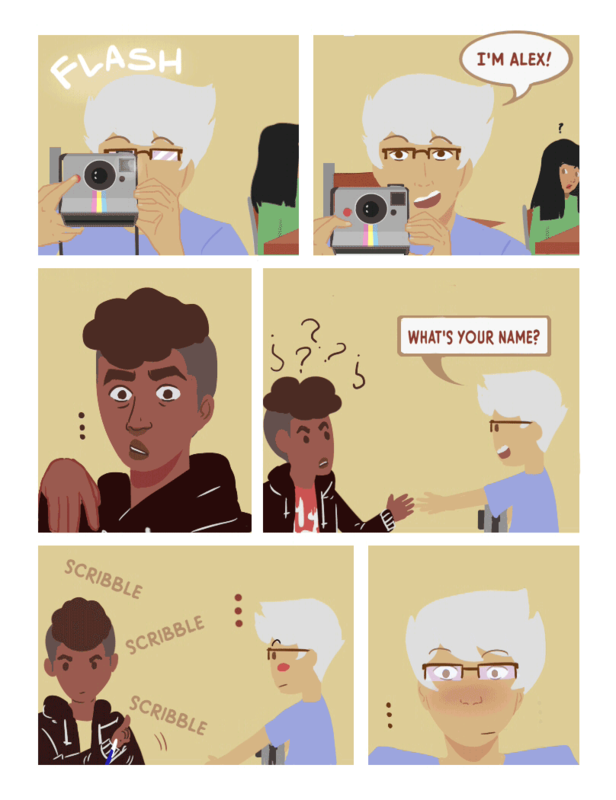 For those whose high school memories are a distant past, the webcomic brings back that nostalgic feeling of being confused, curious, yet excited. New experiences are had, and new friendships are made. So what are you waiting for? Go check out this webcomic!